With India set to become the third largest aviation market by 2026, the Airports Authority of India is expanding its avenues for revenue generation, from aeronautical to the non-aeronautical arena. 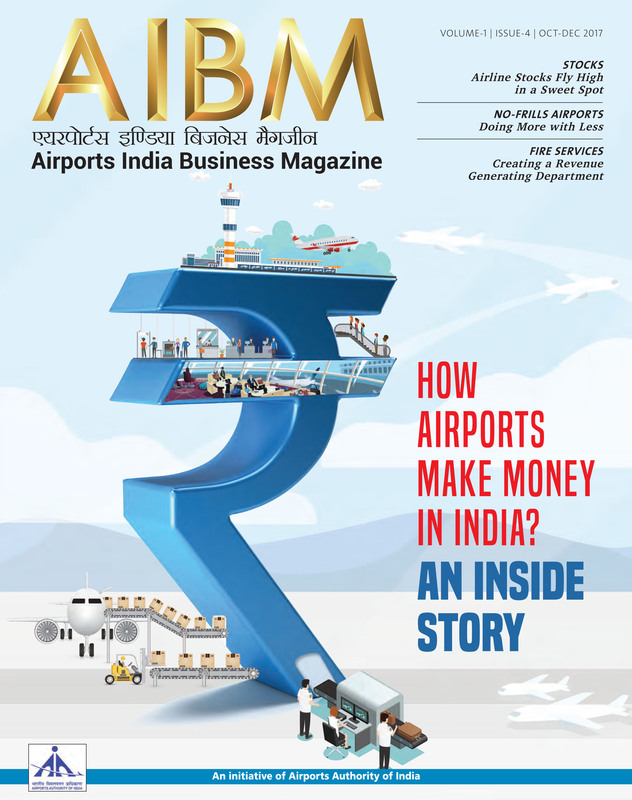 Airports Authority of India (AAI) is looking to unleash and tap the commercial potential available to them with the dual aim of enhancing their non-aeronautical revenue while also enriching customer experience at airports. In this endeavour, initiatives have been taken to improve the quality and delivery of service and experience to the passengers at AAI airports. Measures are being taken on all fronts across all major verticals of non-aeronautical activities, such as retail, food and beverage, advertising, ground transport and other multiple services with the primary aim to harness the huge non-aeronautical potential that India has to offer. The evolution of modern airports into top notch shopping destinations has paved way for immense influx of consumerism and boosted the retail industry. People now spend their waiting time checking out latest fashion at the airports, or relaxing at food and drink joints, etc. To tap into this trend, AAI has recently awarded India’s first ever retail concession to M/s Welcome Retail Pvt Ltd (joint venture company between M/s Travel’s News Services India and M/s Flemingo Retail Ltd). One of the airports making giant strides in this department is the Kolkata Airport. The airport has teamed up with many leading brands, including but not limited to categories like apparels, luggage, footwear, leather, accessories, perfumes, cosmetics, etc., which will turn the airport into a melting pot of international brands and it is only the beginning for Kolkata Airport, which is aiming to become a hub of vibrant commercial activities posing a serious challenge to other contemporary airports managed by private operators. 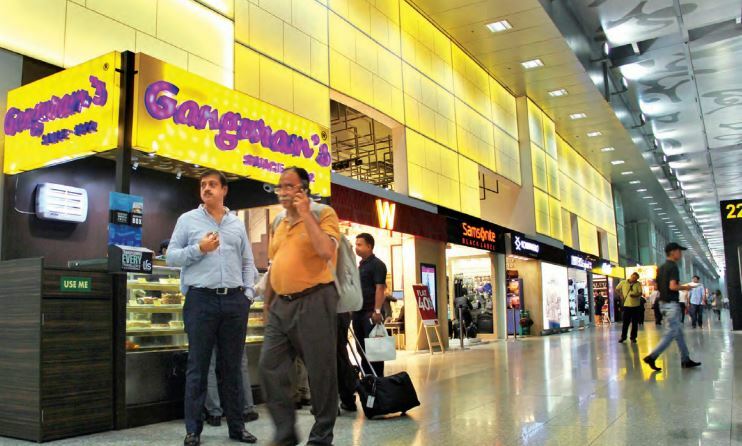 The airport plans to assemble some of India’s and the world’s best retail brands such as WH Smith, Pavers England, Samsonite, DaMilano, Hidesign, Accesorize, Kompanero, Ekse, Sunglasses-Hut, Titan, and many more. 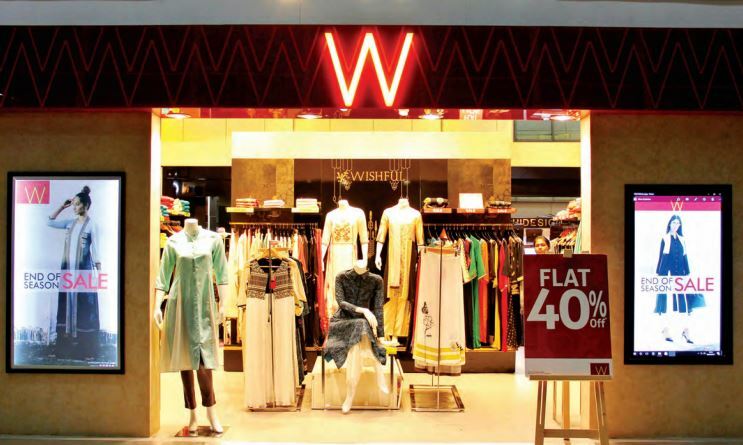 The retail facility at Kolkata Airport is set to extend over 1,300 sqm and AAI intends to provide a world-class shopping experience to the passengers. To enrich the food and beverage facility and its associated experience for passengers, AAI has initiated plans to enhance the experience in Kolkata and Chennai Airport. World-class food and beverage facilities and refined dining experiences are available under one roof at these airports. Concessions for food and beverage for Kolkata and Chennai have already been awarded on master concession basis in favour of M/s Travel Food Services Pvt Ltd.
On similar lines, quality facilities for food and beverage are being arranged at 12 other airports as well. The selection process is already underway and is likely to be finalised in the month of November and the facilities shall be open for customers by February March, 2018. Tenders for advertisements were initiated on October 2016. For the Kolkata Airport, advertisement tender was awarded to M/s Signpost Pvt Ltd. The license agreement has been designed in an industry friendly manner and the concessionaire has been using innovative and latest technology in advertising techniques. Signpost India won the contract to design, build and operate the advertising, promotion and activation concession at NSCBIA, for the next 10 years starting from August 1, 2017. NSCBIA has registered passenger traffic of 16.10 million, ranking in top five airports in India and thus to satisfy the rapid growth of passenger throughout, a new terminal of NSCBIA was opened in 2017. This increase and expansion has led to the airport becoming a top priority and prime subject for non-aeronautical revenue generation. AAI’s priority for NSCBIA focused around quality while valuing economic efficiency, they considered several factors in the bid evaluation including quality of advertising, resources planning, economic evaluation and passenger experience, with the aim to select an operator with strongest professional experience and capability to be in NSCBIA. The three aspects in place to enhance the airport experience and advertising potential are: digital walls, conveyor belt and storyboard. 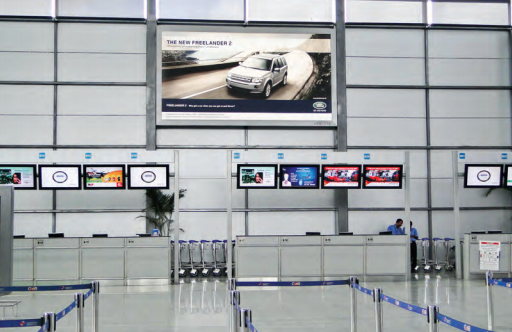 Digital Walls: Large format digital screens are strategically placed in the security hold area, conveyor belts and pickup zones creating an impact that cannot be missed. Through these digital formats, brand owners gain most dynamic and engaging opportunities with their audiences. Stories are weaved in a short viewing time through these networks, which provide lasting impressions especially on captive audiences. Conveyor Belt: A set of 60 screens are placed across conveyor 10 belts (baggage reclaim area).These are placed strategically at the arrival area that has a captive audience offering high dwell time to communicate client’s message. Storyboard: There are three elegantly placed innovative and iconic structures, which weave a brand story on the concave panels to all the arriving traffic at Kolkata airport. These backlit structures enhance the creative thereby generating curiosity and submerging the audience in the story. Clutter free and strategically placed, the storyboard is a gem in the outdoor format allowing the brand owners to provide disruptive and intriguing messages towards high recall. The development of such advertising business was initiated for 26 airports out of which 10 have been awarded and others are in the pipeline. AAI had successfully awarded Duty Free Rights for 15 major international airports through global tenders. The 15 major international airports includes; Chennai, Tiruchirappalli, Thiruvananthapuram, Kolkata, Kozhikode, Mangaluru, Ahmedabad, Amritsar, Goa, Lucknow, Pune, Jaipur, Visakhapatnam, Madurai and Coimbatore. The tender was awarded to two global concessionaires – AGM Duty Free Selatan Sdn of Malaysia secured the rights for five airports namely Thiruvananthapuram, Visakhapatnam, Pune, Coimbatore and Madurai. 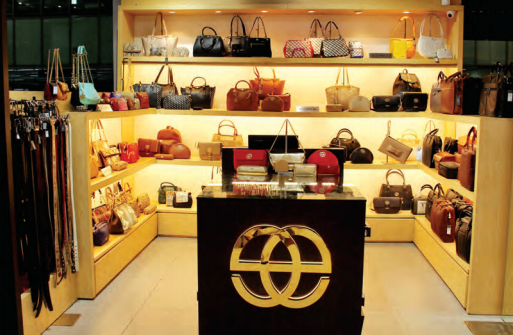 Another Global Duty Free concessionaire M/s Flamingo has secured other major airports. The average revenue share offered in this tender is 36 pc of net sales. Car parking all over the world has evolved into automation and AAI has incorporated the automation technology in various airports to provide the passengers a hassle-free experience. AAI is reviewing the ground transport policy encompassing the various licensees/facilities like car rental, prepaid, radio taxi, car aggregator/app-based taxies and vehicle parking rights, etc. This will yield additional revenue and enhanced passenger experience. The latest technological paradigm shift of commutation trends from traditional taxis to mobile application-based cab services was also realised by AAI and to cater to the demand, AAI has initiated a pilot project of facilitating passengers with mobile application based cab services in five major airports. Leading service providers such as Ola and Uber are a part of the project. AAI has been successful in developing and maintaining beautiful and elegant airports, which provide all these modern and latest amenities at par with the world standard. Thus, AAI is proactively working with utmost dedication and innovation to develop commercial activities and turn airports into successful commercial hubs to deliver varied services and outstanding experiences to customers and profit for its stakeholders.